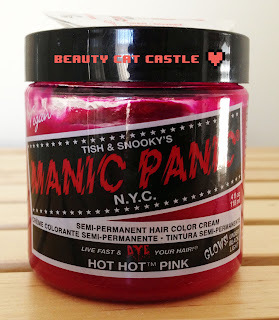 As school is now over, I'm not sure how much longer it will be viable for me to stay as a pink headed girl but i figured id do a little review of the product i started using after Crazy Colors run out (that's what the salon gave me). 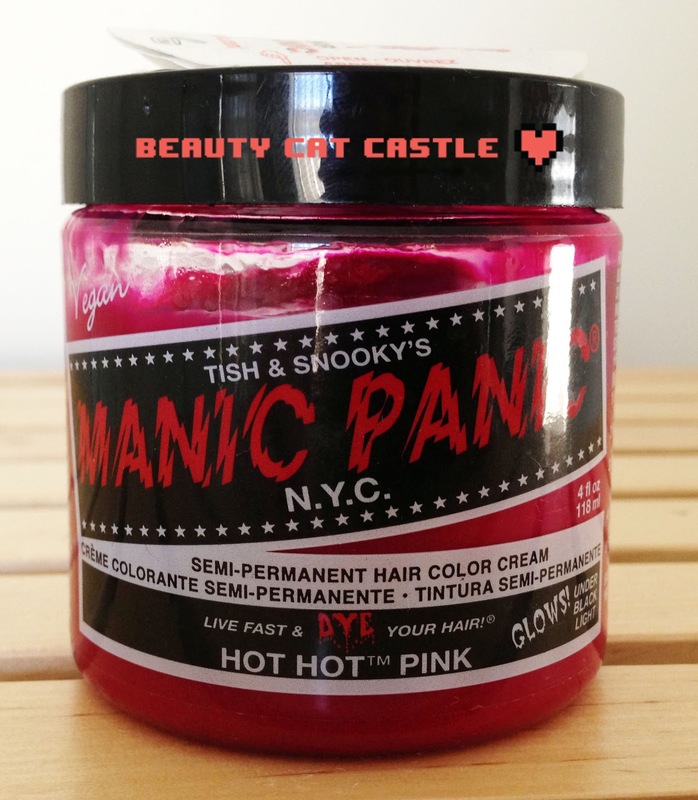 I picked up this one as it didn't seem very complicated and seemed quite popular in the UK for hair coloring in crazy shades. Plus the color was a perfect match for what was on my head. 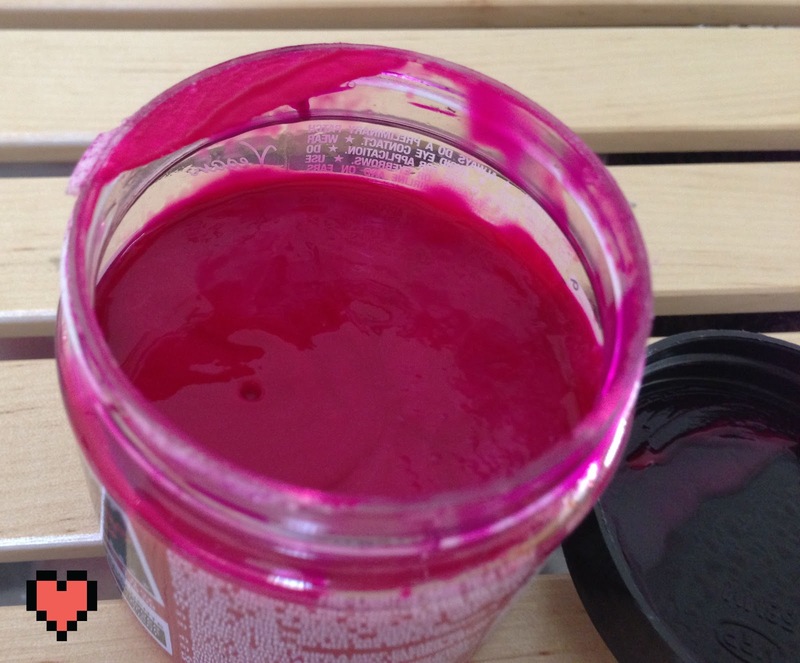 The product is quite watery and not very tacky so you do have to be careful with it, or else your entire bathroom will end up with hot pink stains. Trust me. It's not very difficult to use however if you can be careful, use gloves, cover nearby surfaces and use a hair paint brush to apply to the product. As the pink is only on the front of my hair i used 4 foils to cover it up once it was slathered in the product; then heated it for maybe 10 minutes under a regular hairdryer to intensify the color then leave for an hour or more if it's not bothering you. The product is vegan so it's doesn't really smell like hair dye and doesn't seem to cause me any irritation. The only issue i have is about three days after doing this my scalps gets very dry and i need to use a anti-dandruff shampoo to fix the issue. The product lasts (brightly) for about two washes but then becomes more of a pastel shade and every time you wash it it will cause a flood of pink in your shower. This is on fact one reason I'm considering getting rid of the pink, much as i love it, half my life is stained pink now; my towels, my nails, my pillowcases and my shower walls. 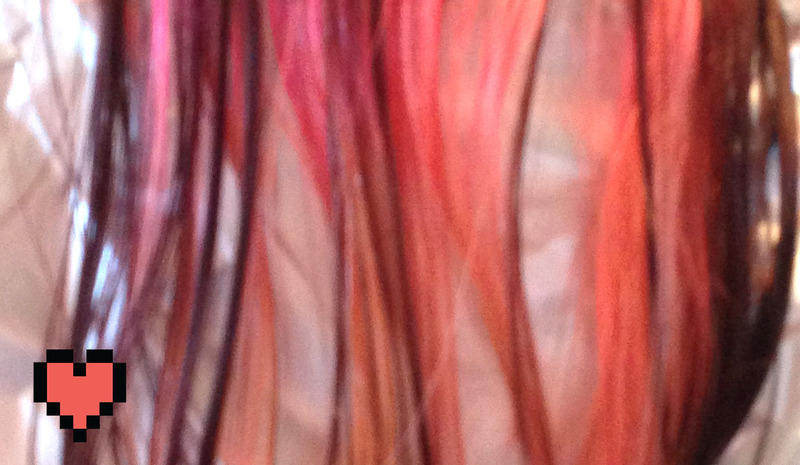 It's a lot to deal with for maybe a week of bright pink hair. The product works but it's very temporary, its easy but it causes massive staining. (This is also a very easy and messy way to make a gradient nail polish effect, happened to me several times when i couldn't find my gloves when applying this). Do you have any hair dye nightmares?